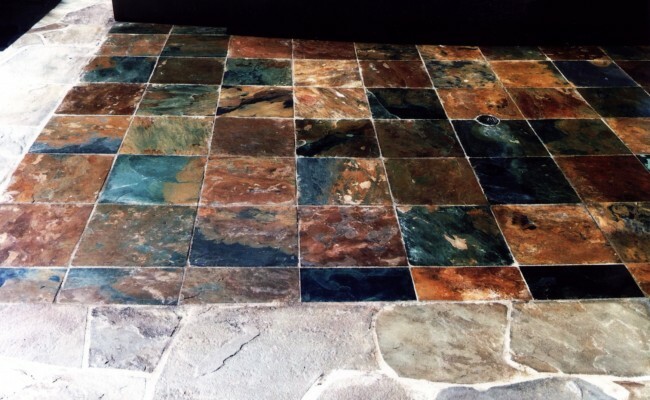 Here are before and after pictures that show the results of a Slate & Granite Restoration job we did on a Floor & Granite Counter in Orange, Orange County, California. 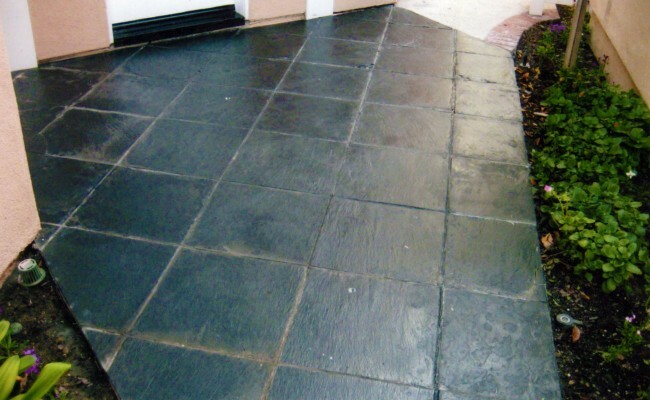 This slate floor had been constantly maintained with aggressive cleaning products, unfortunately the result was a dull, dirty floor without any color or lustre. 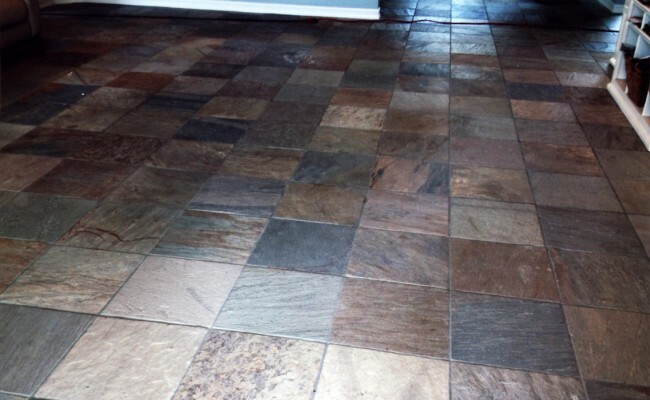 On the “after” photos, this is the same view of the slate floor following the restoration process. 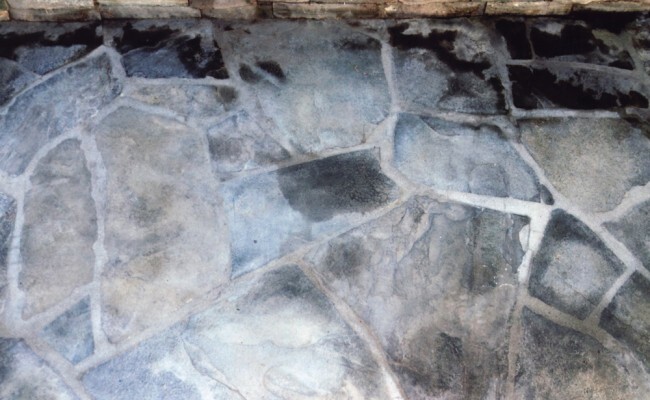 The use of non-recommended cleaners will break down to the floors, and cause deterioration much sooner than normal. 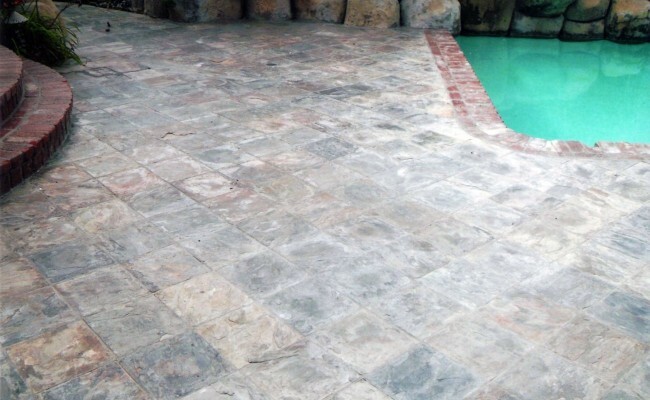 All of our customers are instructed in proper maintenance, so as to protect their investment. 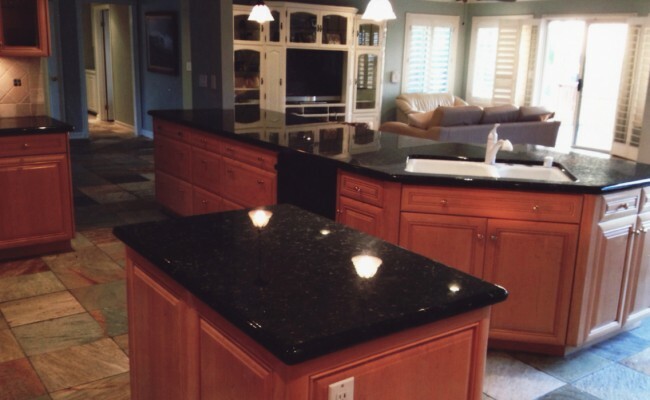 In the kitchen we also cleaned, polished and sealed the granite countertops. 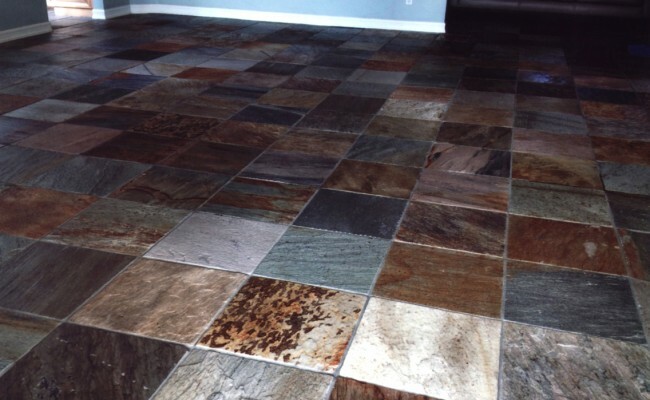 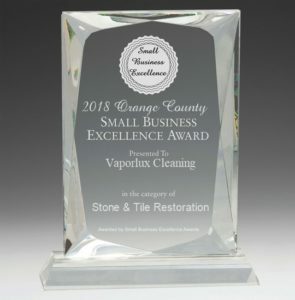 If you have a Slate Patio or Granite Countertops that need Restoration and live in Orange, Orange County, California call Vaporlux Stone & Tile at today. 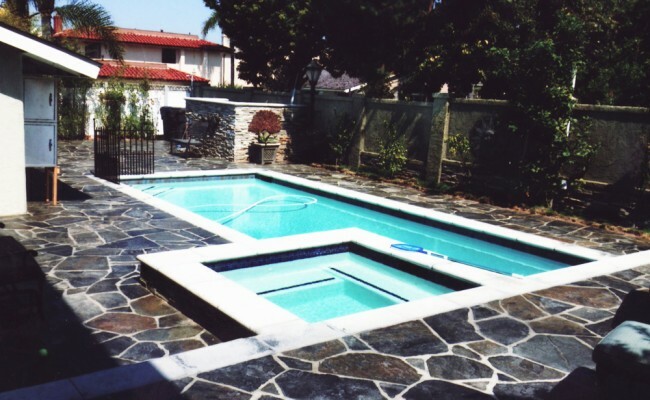 Here are before and after pictures that show the results of a Stone Cleaning job we did on a Flagstone Tile Pool Patio in Huntington Harbour, Huntington Beach, Orange County, California. 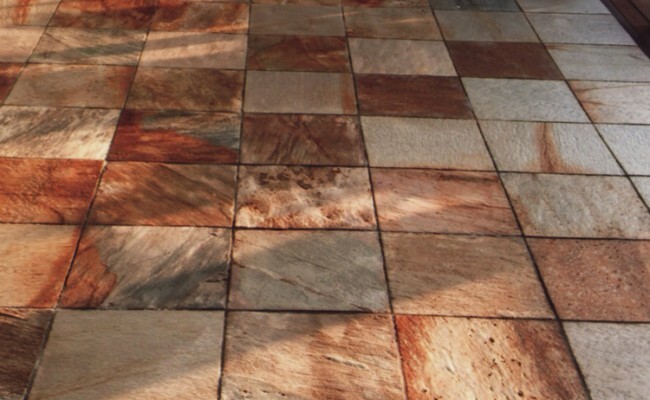 The over-watering of plants ( and excessive puddling) can result in alkaline stains on any surface. 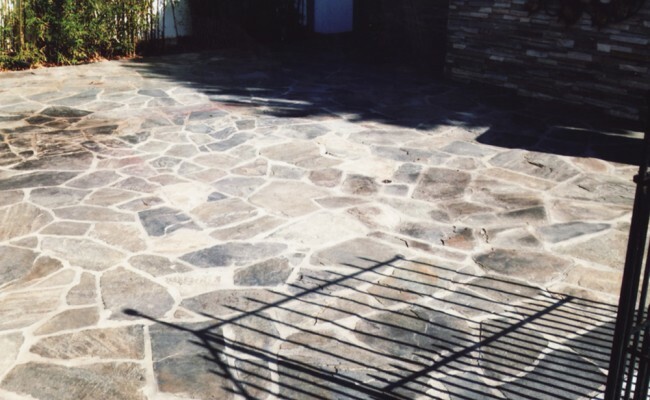 This flagstone patio is showing those issues and more. 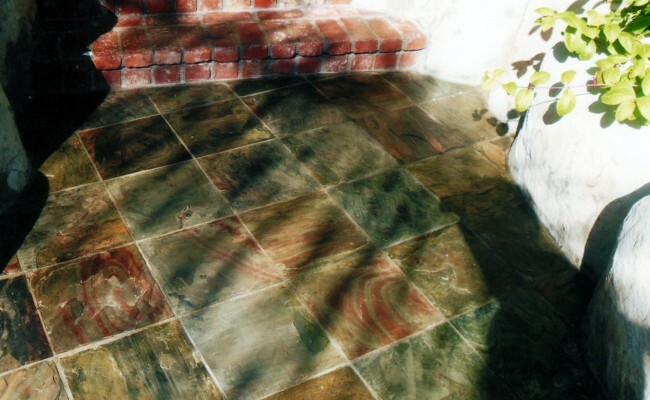 This photo shows the same random flagstone tiles following the restoration process. 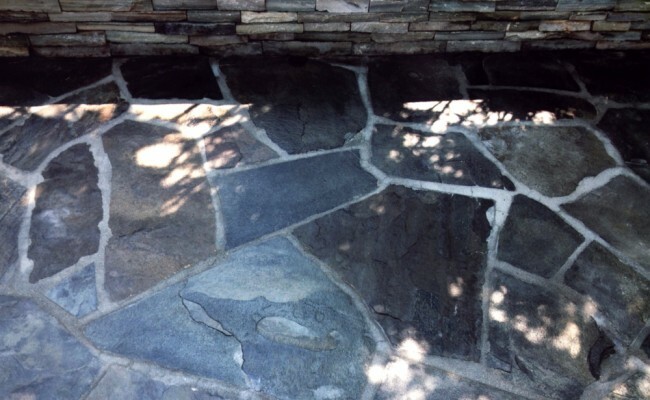 we approach each job individually and work hard to get your stone detail cleaned, no matter what the issues are! 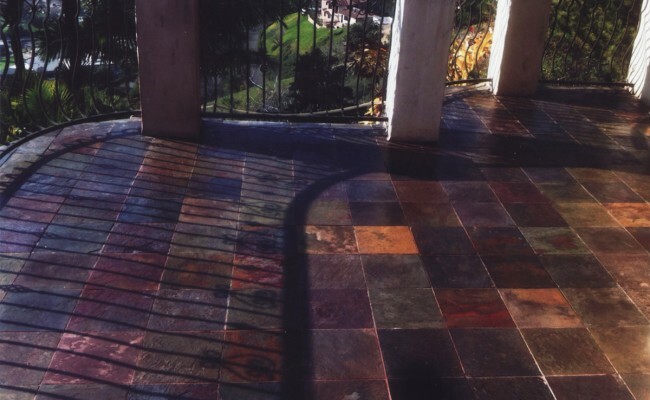 The application of a premium sealer/enhancer completes the job! If you have a Slate & Flagstone Patio that needs Stone Restoration, Cleaning and live in Huntington Harbour, Huntington Beach, Orange County call Vaporlux Stone & Tile at today. 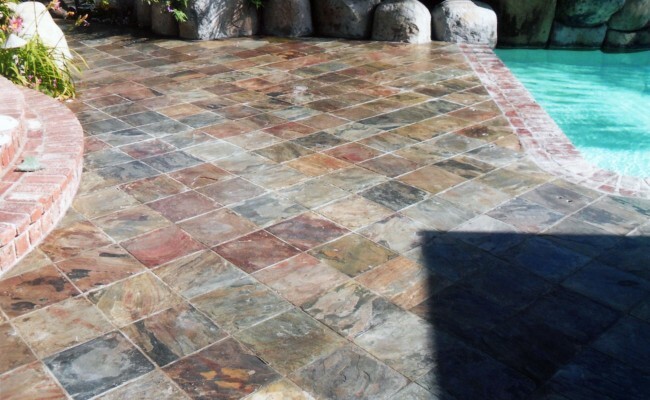 Here are before and after pictures that show the results of a Stone Cleaning job we did on a Flagstone Tile Pool Patio in Huntington Harbor, Huntington Beach, Orange County, California. 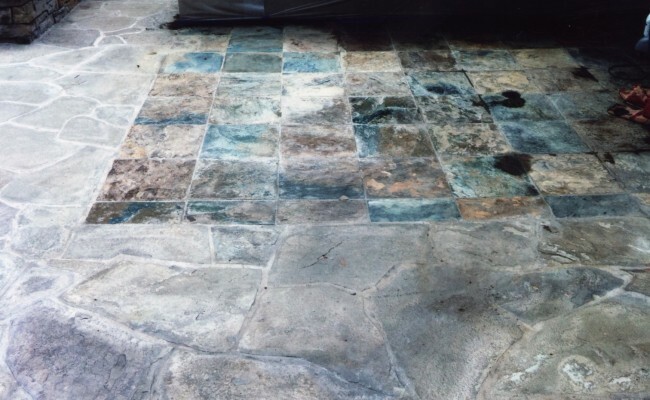 The over-watering of plants (and excessive puddling) can result in alkaline stains on any surface. 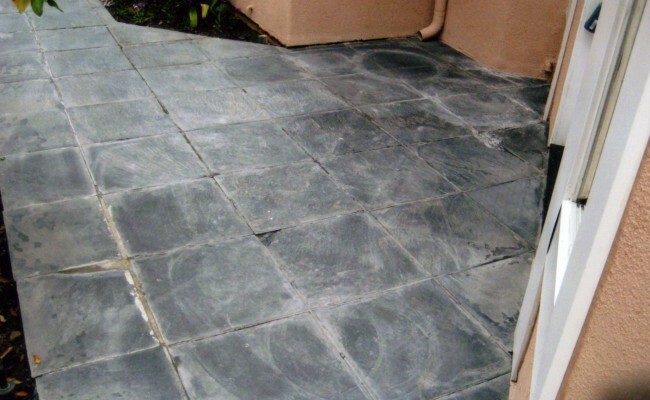 This flagstone patio is showing those issues and more. 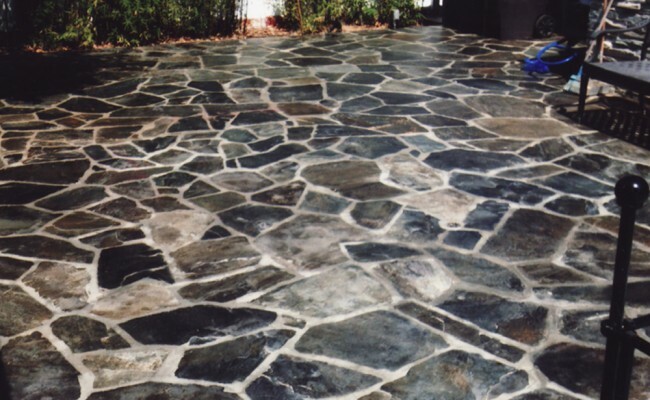 If you have a Slate & Flagstone Patio that needs Stone Restoration, Cleaning and live in Huntington Harbor, Huntington Beach, Orange County call Vaporlux Stone & Tile at today. 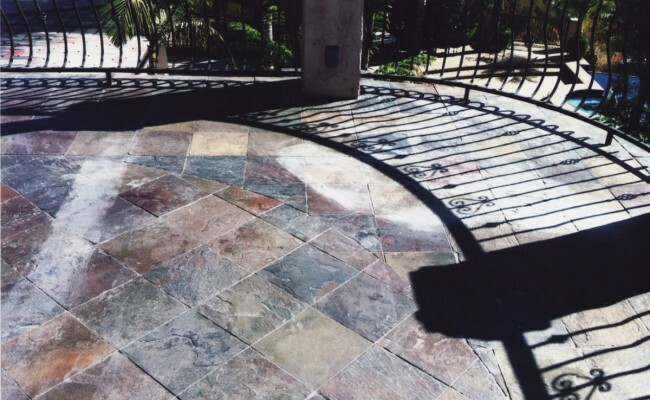 Here are before and after pictures that show the results of a Slate Restoration, Cleaning job we did on a Slate Patio in Orange, Orange County, California. 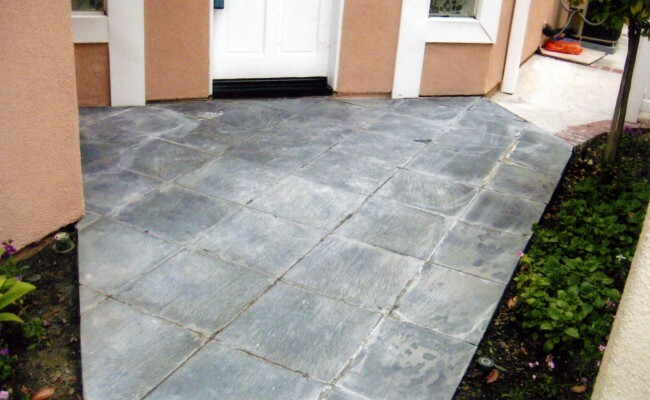 This slate patio deck has drainage issues, which leads to a heavy alkaline residue from standing water. 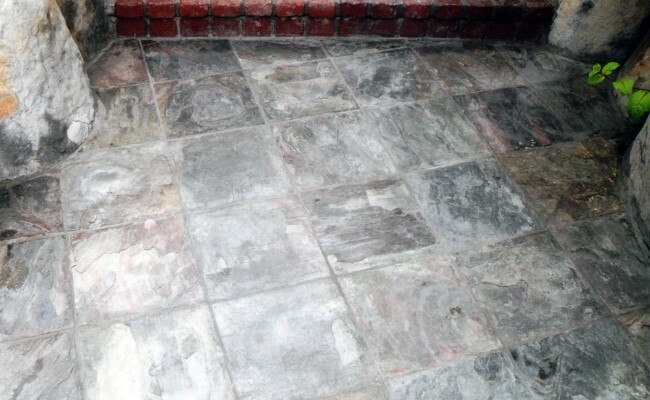 The photos show a fully restored patio deck with the white alkaline deposits now eliminated! 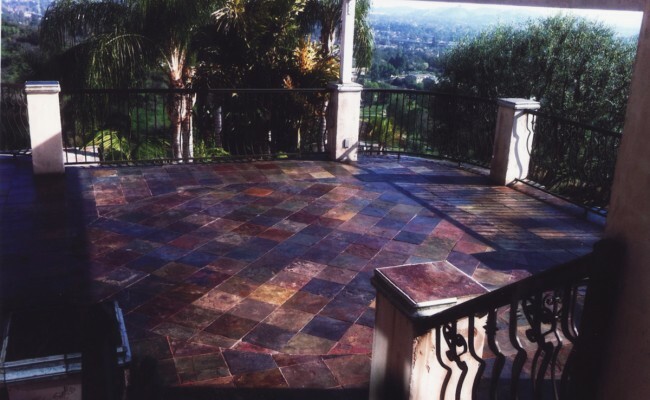 We used a premium enhancer sealer for both beauty and protection from the elements. 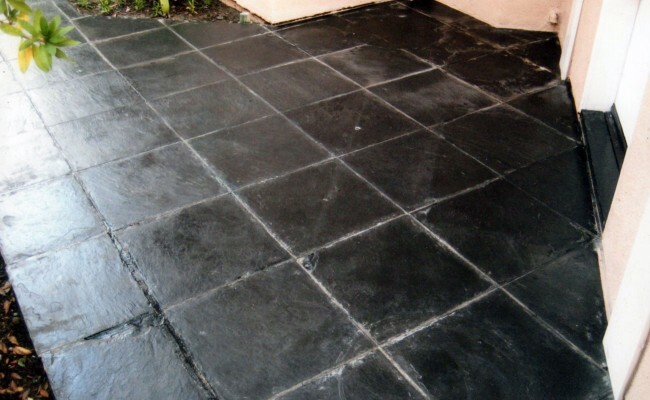 If you have a Slate Patio that needs Slate Restoration, Cleaning and live in Orange, Orange County, California call Vaporlux Stone & Tile at today.